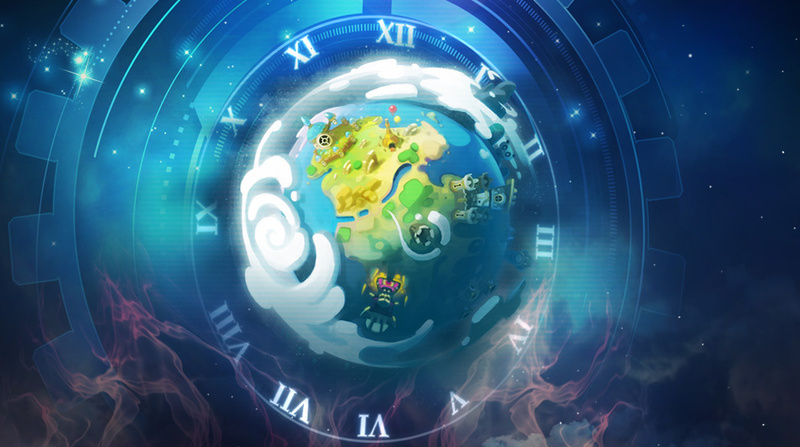 DOFUS Touch, a colossal MMO at your fingertips! Phishing is a technique used by thieves to get, by using fake sites, your login details (account name and password) and other personal data to steal everything you have in your account. These sites look like Ankama websites (names, vocabulary, images, etc.) but do not belong to us! Indeed, the login interfaces go to the fraudsters to steal your information. If you think you may have been the victim of phishing, react immediately! If you have a phone number registered on your account, click on this link to block your account. Immediately change your password via your account management page and log back in. If your other data wasn't compromised, you'll recover access to your account. Contact Support to report the theft, and include official proof of identity with your request. 1 - Be cautious of promises (tempting offers, etc.) and threats (banning, etc.). 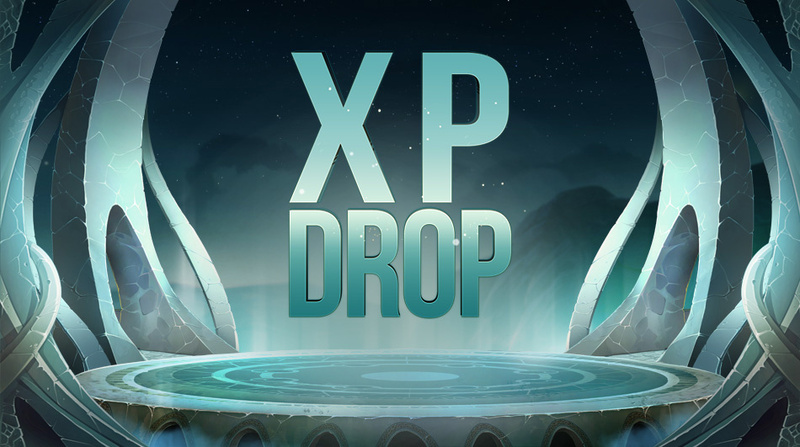 "A player told me about a site and told me to buy millions of kamas in exchange for gifts from Ankama, mentioning the Google search 'dofus xp 2019"'. Unfortunately, I was disconnected a few minutes later; they stole everything." 2 - Systematically check the URL of websites you visit, even when they are secure sites (https). "In the commerce channel, I saw a message from a player saying 'Watch out! The Brande Lottery is about to end ^^'. I went to the site and signed up. When I didn't get my gift, I checked the URL. 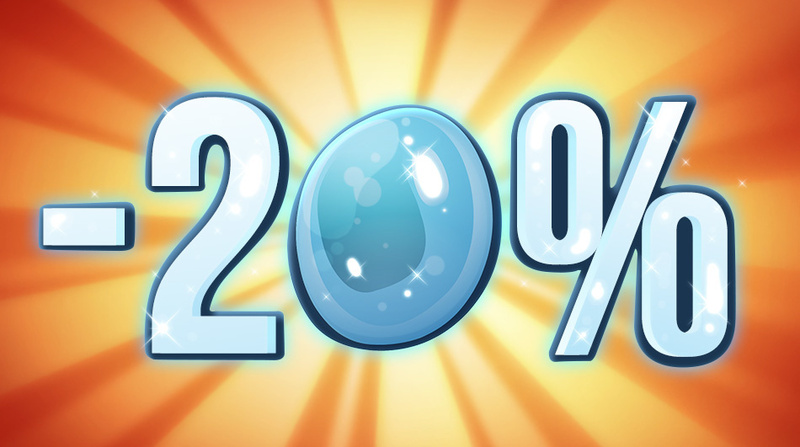 It looked like a DOFUS site, but wasn't exactly the same. I was duped." 3- Be careful of clickable links, and do not search for tempting offers using search engines. Check our official announcements and in-shop offers every time. You can see the destination address of the website by moving your cursor over the link (or button). You'll see the URL in the lower left corner of your browser window. A destination address that has nothing to do with the subject of the email is probably a trap. "A guy in-game asked me if I was selling 'quest fragments'. To find out what they were, I searched 'DOFUS quest fragments' on Google. I ended up on a site where I entered my login details to 'recover' them. The site then asked for my codes to unlock Ankama shield, and I entered them. 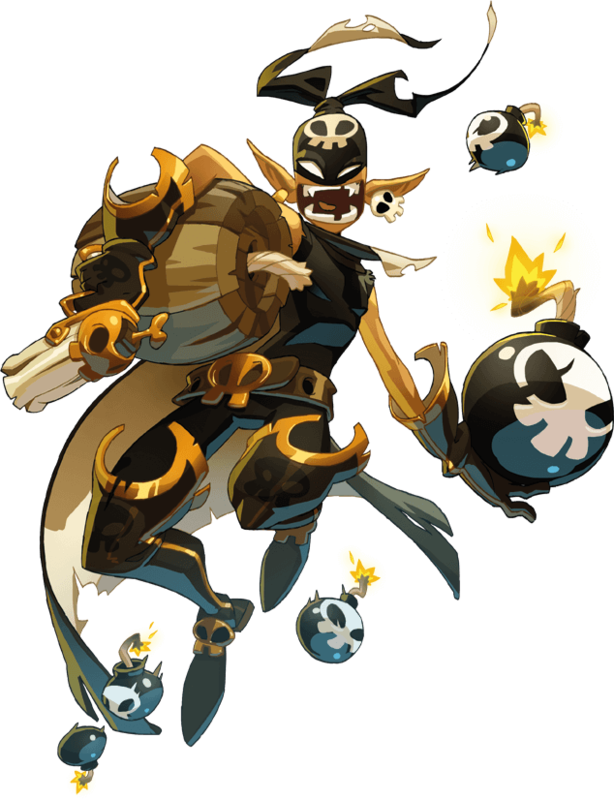 Then, I realized that the site wasn't really the official site and I was being had..."
4 - Use one of our protection systems: Shield (DOFUS) or Authenticator (all games linked to your Ankama account). Please note: If you use Facebook Connect to log in, your account will be protected by Facebook and not by our protection system. 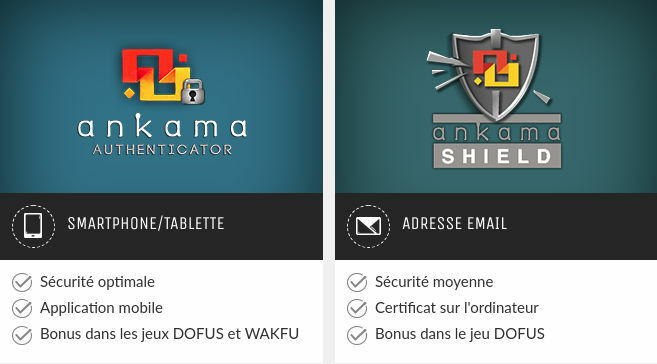 5 - And above all: Never enter your login details and protection codes on any sites other than ANKAMA sites! How Do the Thieves Operate? First, they contact you via chat, email, SMS, the forums, or even in game and try to hook you with an interesting offer, a request for help, threat of a sanction, etc. or anything else that might trick you! Thieves may pretend to be someone you know or even use one of your friends' stolen accounts. Once they have your attention, depending on what the thief gave in way of instructions, you click on the link shown or search for the information on using a search engine. Once on the site, you are asked for your Ankama account login details and other personal information in a login interface that is nearly identical to Ankama's. 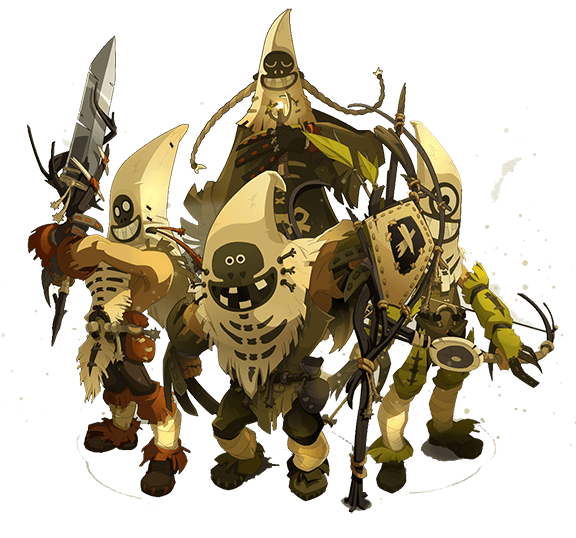 If you enter these details, the thief can log in to your Ankama account, and rob and delete your characters!